John M. Jorgensen received his Bachelor of Arts degree with High Honors from the University of Florida, majoring in history. He continued his education at the University of Florida, and earned his Juris Doctor degree in 1982. Mr. Jorgensen joined Scott, Harris in 1982, and became a shareholder in 1992. 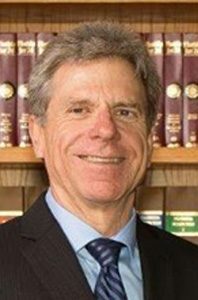 He practices in the areas of civil litigation, with emphasis in contract disputes, commercial, banking, real property and landlord-tenant litigation, as well as title insurance claims and land use litigation. Mr. Jorgensen also represents both creditors and property owners in mortgage foreclosures. Mr. Jorgensen is a member of the Palm Beach County Bar Association, and represents clients in both state and federal courts throughout south Florida. He has done well over 100 civil trials in his carehttp://scott-harris.com/wp-admin/post.php?post=429&action=edit#er. Mr. Jorgensen has served as President of the North County Section of the Palm Beach County Bar Association, and was also a member of the Association’s Board of Directors. He also served as chair of the Palm Beach County Land Use Advisory Board.